Sir Isaac Newton is one of the most influential scientists of all time. He came up with numerous theories and contributed ideas to many different fields including physics, mathematics and philosophy. 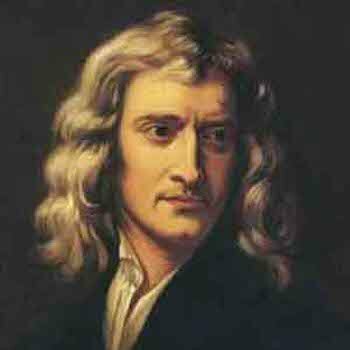 Born in England, Isaac Newton was a highly influential physicist, astronomer, mathematician, philosopher, alchemist and theologian. In 1687, Newton published Philosophae Naturalis Principia Mathematica, what is widely regarded to be one of the important books in the history of science. In it he describes universal gravitation and the three laws of motion, concepts that remained at the forefront of science for centuries after. Newton was known to have said that his work on formulating a theory of gravitation was inspired by watching an apple fall from a tree. A story well publicised to this very day.